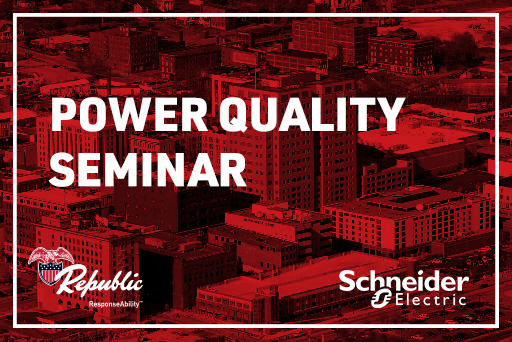 Please join Republic and Schneider Electric on November 15th for an informative seminar discussing the importance of power quality, monitoring and detection, and mitigating solutions. Power quality problems are one of the major causes of unscheduled downtime and equipment malfunction and damage. Reliability and consistency of electricity supply are critical to businesses, from industrial plants, medical facilities, data centers to office buildings. When power quality is imperfect due to disturbances such as interruptions, voltage dips or harmonic pollution, your business suffers. 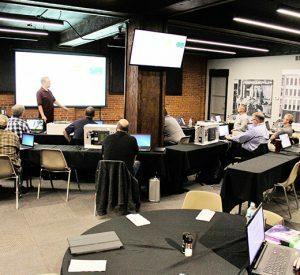 Power quality is an area of growing concern for end users due to the frequency of occurrence and financial impact of issues: 30 – 40 percent of all unscheduled downtime today is related to power quality problems. In the industry sector, for example, the cost of poor power quality can reach four percent of annual turnover and is often equivalent to the total balance payable on a facility’s energy bill. 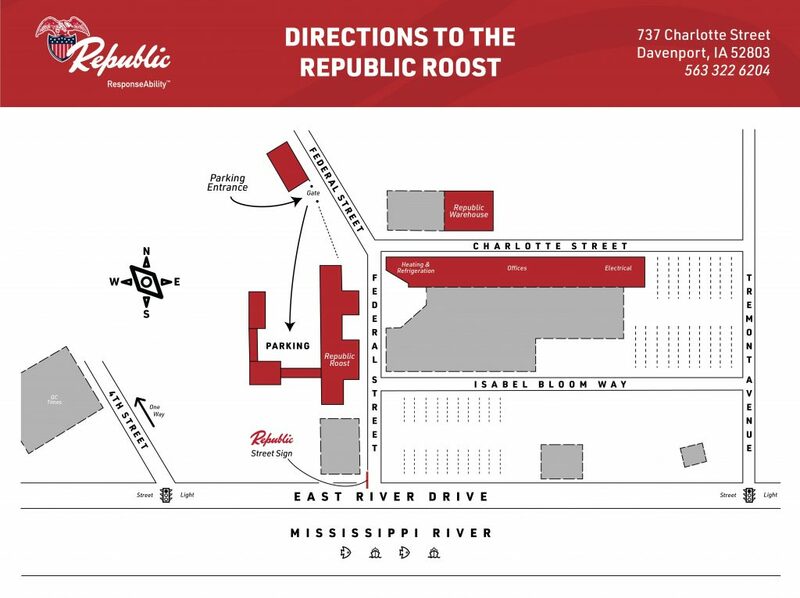 Go through white pillars around to back of warehouse building – follow signage to the Republic Roost.